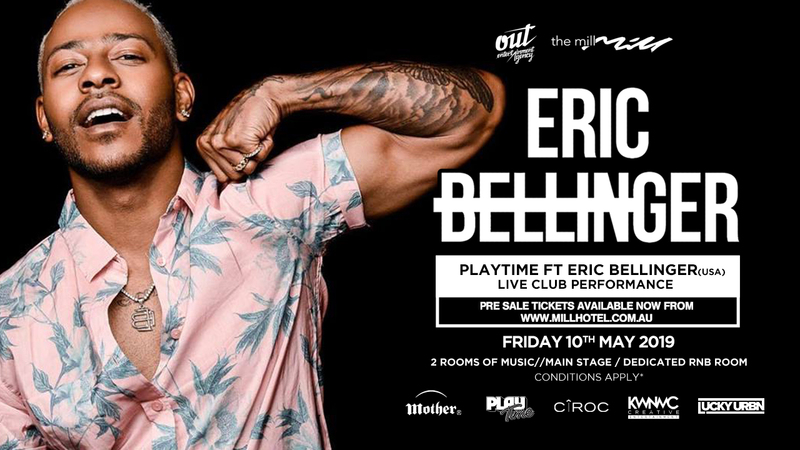 WE ARE SO EXCITED TO ANNOUNCE GRAMMY WINNER & RNB SENSATION ERIC BELLINGER IS BACK PERFORMING AT THE MILL HOTEL ON FRIDAY 10th MAY 2019!!! UNFORTUNATELY WE CANNOT OFFER NAME TRANSFERS OR REFUNDS FOR THIS EVENT. PLEASE NOTE IN THE EVENT OF CANCELLATION THE BOOKING FEE IS NON-REFUNDABLE. PLEASE ENSURE YOU HAVE THE FULL NAME AND DATE OF BIRTH READY FOR ALL GUESTS ATTENDING. PHOTO ID, PRINTED HARD-COPY/DIGITAL TICKETS WILL BE REQUIRED TO GAIN ENTRY. DRESS REGULATIONS APPLY AT ALL TIMES. PHOTO ID, PRINTED HARD-COPY/DIGITAL TICKETS WILL BE REQUIRED TO GAIN ENTRY. DRESS REGULATIONS APPLY AT ALL TIMES. DRESS REGULATIONS APPLY AT ALL TIMES.